Although heart disease remains the leading cause of death in the United States, chances of dying of a heart attack are now at a “historic low” of 12 percent. That’s down by more than a third since 1995, according to a new Yale study that analyzed two decades of data on about 4.4 million Medicare patients hospitalized with heart attacks, including deaths within 30 days of heart attacks. The study also reports that “an increasingly smaller number of people” are having heart attacks – hospitalizations for a heart attack have declined by 38 percent since the mid-1990s. Hospital readmissions and repeat heart attacks also are occurring less often, the study researchers found. They attribute the declines in part to improved speed of care for heart attack victims, which means getting blocked arteries open much faster. They also note that increased emphasis on lifestyle changes – such as healthier eating to lower cholesterol and more exercise to control blood pressure – may have played a role in the improved statistics. 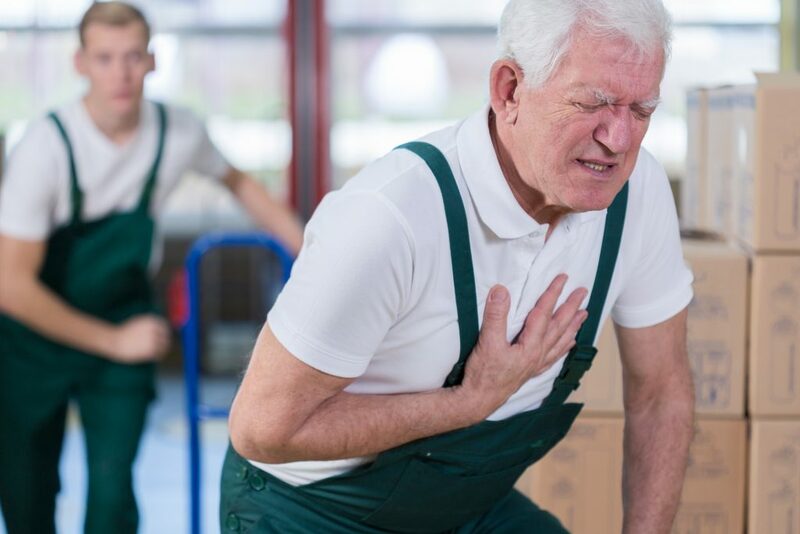 A heart attack (medically termed a myocardial infarction) occurs when blood flow to the heart becomes blocked, leaving the heart without needed oxygen. This often is caused by a buildup of plaque (cholesterol, fat and other substances) on the inner walls of arteries that lead to the heart. The most common symptom of a heart attack is chest pain (angina) or discomfort. Some people, especially women, also experience shortness of breath, nausea and discomfort in the arms, back, shoulders or jaw. Symptoms, however, vary from person to person, and some people have mild symptoms or none at all. If you do have symptoms, call 911 right away.